Besides being a Level 1 instructor and a Qualified Mentor, Linnie is also a Portland Oregon area coordinator for Healing Touch Program and related energy medicine modalities. 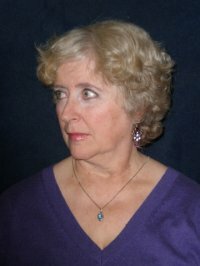 She is a member of ISSSEEM, Healing Touch Professional Association and LeTip International, the Portland Business Alliance, Willamette Writers, and Northwest Writers and Publishers. She is also the author of "The Encyclopedia of Energy Medicine" and "Laws Governing Energy Medicine Practitioners". She has nearly finsihed "The Wasaru Stones", a young adult fantasy featuring HT techniques. She is also a Master Light Worker, an ordained minister, certified metaphysics instructor and certified earth steward. She has been an instructor in the field of metaphysics and medical intuition for over 32 years and has explored over 200 different programs in energy healing. Linnie is a student, instructor and developer of esoteric and shamanic healing classes. She has a healing practice in Tualatin, Oregon. She believes Healing Touch is the best program available for introducing students to the field of energy medicine.